community is an essential component to homeschooling. 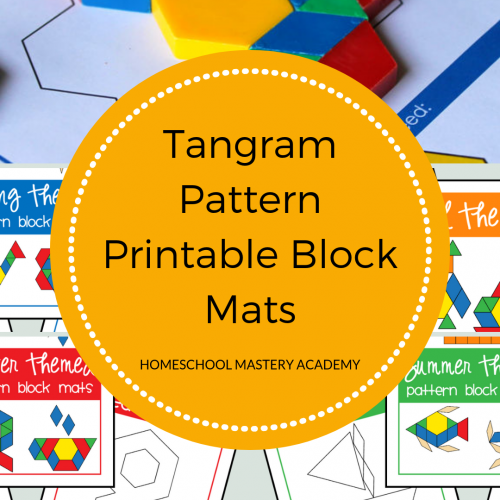 home and homeschool can be a lot to manage. We value your commitment to your local community. as a homeschool group or co-op leader. We have created this versatile package of printables so you can customize your personal group or co-op experience. 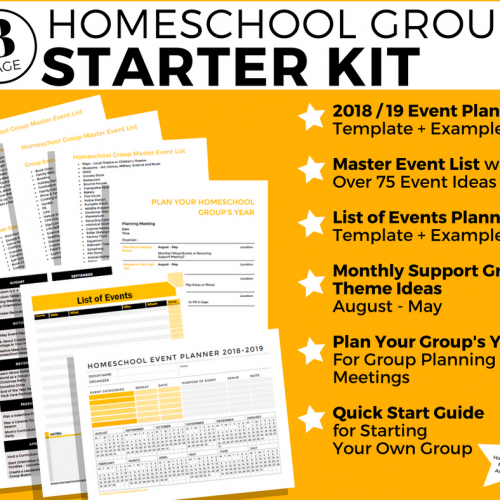 They will help you to organize and keep track of your group no matter what size it is. 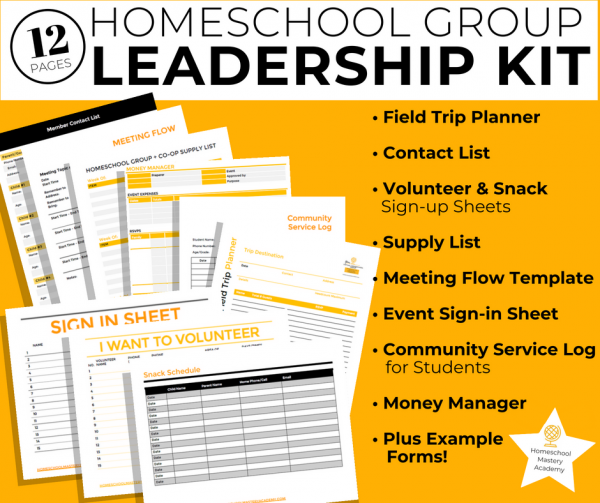 One of the reasons people leave homeschool groups is because they are disorganized and chaotic. But it doesn’t have to be that way! 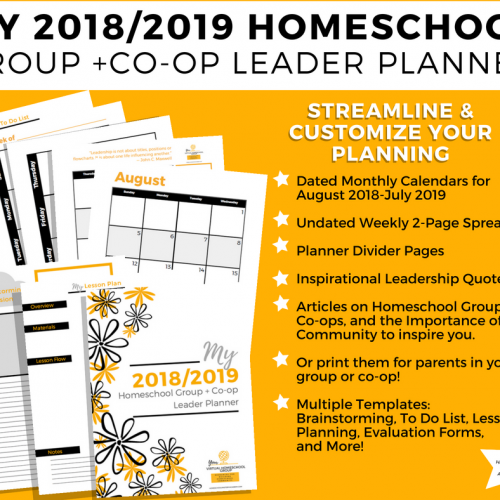 There is no better homeschool group or co-op than an organized one because they retain more of their membership by operating efficiently. 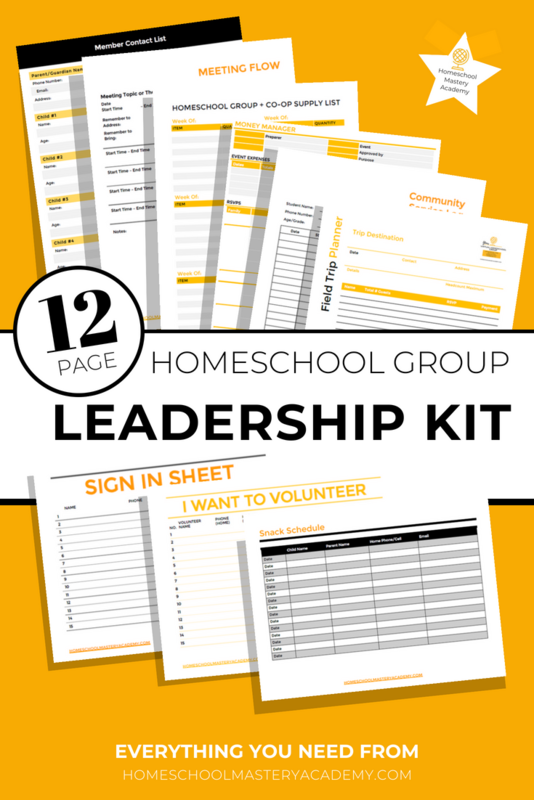 You may be thinking, “But I’m not organized!” or “I don’t have the time!” Don’t worry, we’ve made it easy for you with our Leadership Kit.